Electromagnetic field monitor having flexible and expandable architecture, state of the art design with convenience and simplicity for users on a budget. 1. Compatibility with Insulated Modem (IM) accessory, allowing both fiber optic and USB RF isolated bidirectional control and battery charging without any additional wires coming out of the meter. 2. Graphical display to plot the data real time. • SFD can operate with multiple probes, both current and future models. Calibration factors for multiple probes are stored internally and can be updated from SD card by the user. • Extremely large SFD dynamic range with auto-ranging function offers high accuracy and simple operation without any additional switching. • Advanced programmable data sampling with time averaging and spatial averaging allows monitoring and recording of time variable signals to comply with various RF safety and regulatory standards. • Internal data logging with removable memory card provides programmable and practically unlimited data storage. No PC is needed for data recording - log the data and read it later. • Unique auto-zero function can be operated either automatically or manually even in the presence of the strongest RF fields, thus ensuring the high sensitivity and long term stability. • Serial bidirectional data port with optically decoupled or fiber optic converters can be used for PC data transfer and instrument control in test system integration. 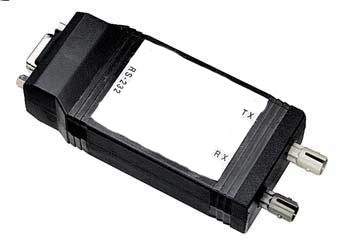 • Serial bidirectional data port is compatible with IM (Insulated Modem) line of accessories, allowing the isolated USB charging and PC data exchange and/or fiber optic PC data transfer - fully eliminating any wires connected to the meter. • IR remote control allows SFD control and operation from a distance - no hands, no wires. • Sound alarm with variable threshold warns if the preset level is exceeded. • Portable lightweight design with detachable isotropic probe and standard battery (two AA primary or rechargeable cells) offers flexibility and advantages in the field. • SFD can display the data both in field strength and power density units. • Bright color OLED display can be set do display only the information important to the user. Maximized display mode ensures good visibility from a distance. • User friendly interface puts all frequently done functions at the upper screens making them easy to find and to use. • Linearity deviation: +/- 0.5 dB. • Battery life: >20 hours. • US NIST (USA National Institute of Standards) / UK NPL (UK National Physical Laboratory) traceable certificate is supplied with every unit. Both Smart Fieldmeter® Digital (RFP-05M) and Smart Fieldmeter® (RFP-04) operate with the same set of electric field probes. Choose the ones that fit your testing needs today and will allow you to be in business tomorrow. Smart Fieldmeter® kits have numbers: Kit1, Kit2, Kit3, Kit4. 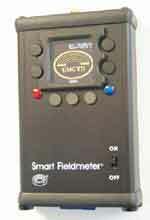 Smart Fieldmeter® Digital kits have numbers: Kit1D, Kit2D, Kit3D, Kit4D. Magnetic field probe PI-H1 operates with Smart Fieldmeter® Digital (RFP-05) only. The name of the kit is Kit HD. You can also buy multiple probes for a single RFP-05 meter and you may buy a new RFP-05 meter to upgrade your existing PI-01, PI-02, PI-03, PI-05, PI-01V probes. 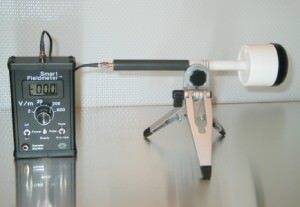 PI-SH (ICNIRP or FCC) is an isotropic electric field probe with shaped frequency response meeting the ICNIRP or FCC RF safety standards for occupational and general public exposure limits (see the specified frequency ranges below). 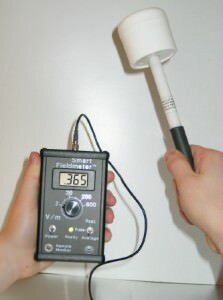 Meter readings are shown in % of the STD -bstandard reference level, eliminating the need to know the source frequency. Probe output is proportional to RF power density in the whole specified power range, producing the correct RF power measurements in single and multi-signal environments, typically present at multiple antenna sites. • AM/FM/TV and GSM Cellular stations. 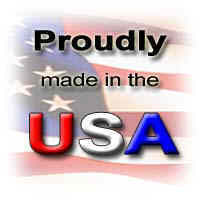 • Transmitters and CB radios. • Industrial, scientific and medical equipment. • GTEM cells and antennas for EMC testing of consumer, industrial, automotive and military products. Multimode (Average, Peak and Pulse) operation allows monitoring of steady state and modulated fields. 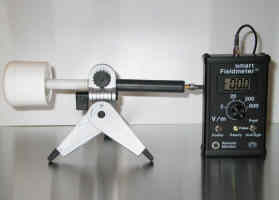 Portable lightweight design with long lasting battery and detachable isotropic probe offers advantages in the field. Remote output monitoring is used for data analysis, storage and fast response close loop control. • Linearity deviation: +/- 1 dB. 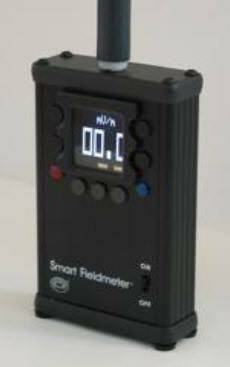 EMC Test Design, LLC introduces new accessory to Smart Fieldmeter® Digital: GPS Position Receiver, Model GPS-R. 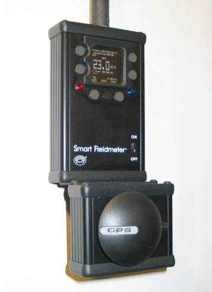 It mounts on RFP-05 meter and allows the recording of geographical location of the meter together with field strength data. Information is stored on memory card and can be transfered to a PC for map display. 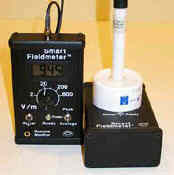 Field Gauge ™, for instant performance verification of all broadband probe equipped Smart Fieldmeter ® instruments. Check performance of your instrument in seconds! Introducing the Smart Fieldmeter PC Link Kit: PCLK- 01-1 – low cost solution for simple connection of the Smart Fieldmeter to PC. This kit supports one Smart Fieldmeter unit and has into one stylish metal box containing the isolating differential amplifier (with more than 120 dB AC decoupling) and DAQ module acquiring 120 samples/sec with RS232 PC output. Fiber Optic Link Kit: FOLK- 01 – the low cost solution to make fiber optic connection of Smart Fieldmeter to PC. Allows up to 100 ft. (30 meters) distance between screen room setup and equipment room PC. 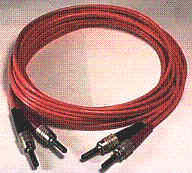 Kit includes two RS232/Optic converter units connected with bi-line fiber optic cable. Up-stream converter unit is connected to PC Link Kit PCLK- 01- 1, while down-stream unit is plugged directly into RS232 port of the PC. Digital RFP-05M Insulated Modem with fiber optic link allows fully wireless operation of Smart Fieldmeter® Digital RFP-05M while maintaining the bidirectional communication with PC. Pictured is FOLK-02 kit that contains two modem-converters and bi-line fiber optic cable. 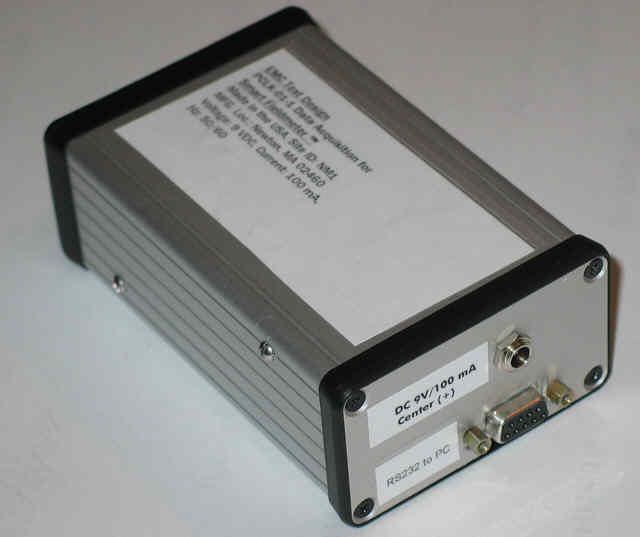 For applications where only USB connection is required, the single IM-MU modem allows full RF isolation while providing the charging and bidirectional communication with PC through USB port.